Events & Catering service in Buenos Aires. Call us (011) 15 5044 8408. FEDE GARCÍA. A YOUNG, VISIONARY, RESTLESS AND DETAILED CHEF, BOTH IN HIS CULINARY FORMULAE AND HIS WAY OF LIVING. After learning the trade and completing his studies In Argentina, the opportunity of starting out in the profession arose away from home. It was time to get to know other cultures, other ways of understanding cuisine. Employed by a Spanish firm, he began a long career in Europe. In a period of seven years he passed through numerous restaurants and hotels in different part of Spain, taking from each kitchen the techniques and values that made him the varied and innovative chef he is today. Fede García has now brought all this knowledge home and transformed it into his own vision of cuisine. BREAKFASTS, COFFEE-BREAKS, MEETINGS, BRUNCHES, YEAR END PARTIES. Without neglecting the working day, we provide a professional, warm and relaxed service, offering the Finger-food trend as well as gastronomic variations, a dessert table and infusions. WEDDINGS, BIRTHDAYS, GRADUATIONS, CIVIL CHRISTENINGS, FIFTEEN YEARS PARTIES, RECEPTIONS. We present an assorted reception, starter, main course and dessert / infusions. Customers have the option of choosing the menu which best suits their requirements. With the help of Fede García they will come to the ideal choice to enjoy every detail of the event. The new trend. Finger-Food, gastronomic variations, simultaneous and dessert tables and infusions. It is ideal for living room parties. Classes will be held in the kitchen of whoever contracts the service, with the option of taking part in the preparation and tasting process. We will teach cooking techniques, give tips of certain procedures and final presentations, as well as teaching the story that there is behind each of the recipes. These techniques, tips and procedures can of course be modified according to the taste of each person. The main objective is to accompany who is interested in the development of the recipes and provide them with enough tools to be work independently. Week after week the student will create their own diet based on his own personal lifestyle. Classes can also be a good excuse to get out of the routine and enjoy a different evening with friends and/or partner. Eating. a pleasure that moves us and unites us around a table. And there is nothing more pleasant than being the architect of that union. When we think about food, those dishes intrinsically linked to their place of origin immediately come to mind, such as the Argentine barbecue (asado), the Peruvian ceviche and the Valencian paella. But although there is lots of variety, the most important component continue to be the hands of who prepares the food and decides upon the role of each and every ingredient. That personal touch is what really gives life to a dish. Fede García is a chef of instincts. His fresh style thrives on improvisation, on the constant change and innovation of recipes. It is all about trial and error, mixing, combining and adding a pinch of this or a pinch of that until the perfect formula is found. This Cuisine of Instincts allows us to adapt the menu to the possibilities of each diner, utilizing the ingredients available to produce the best possible dish. This instinctive approach seeks to generate in the other person the importance and the care that one should take with each, such as creating the best balance of flavors upon elaborating and presenting a dish. For those who need professional help to get started in the gastronomic industry or reorder active shops, Fede García provides personalized advice for the smooth running of a business. 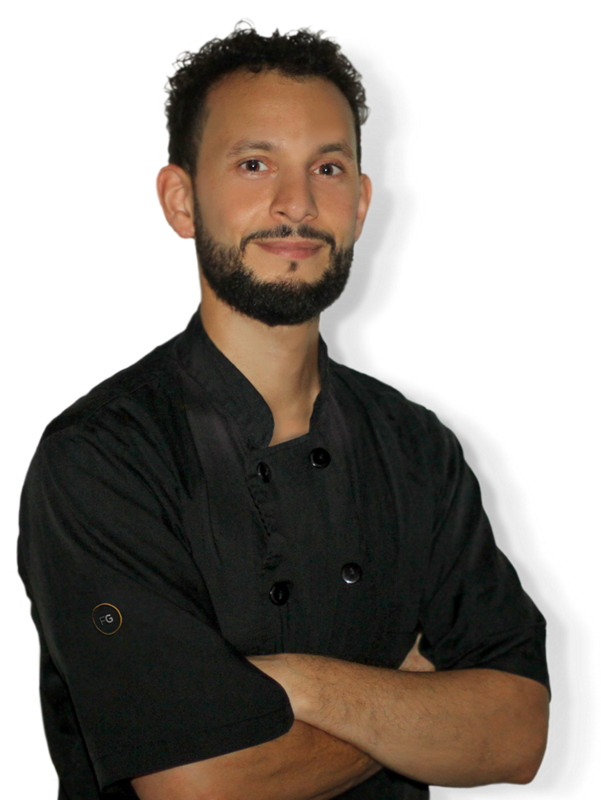 With his experience in the industry and in food hygiene, Fede García also focuses on training staff in hotels, restaurants, catering, culinary schools, bars, etc. Standardization in food handling. Audits. Permanent updating of purchase values. Updates of dish prices on daily menu. Schedule the benefits regarding the sales goals. Standardization of the product: always the same quality and weight. Pictures of the presentation of dishes. Purchases spread sheet, costs, production tables, requisitions, etc. List of products with updated values. Train of sales teams in food enterprises. To contact us, you can follow the contact chanels below, or completing the following form. © 2016 COCINA DE INSTINTOS. | All rights reserved.